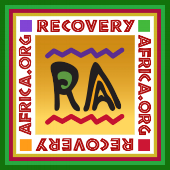 Agnes O’Laughlin is a Board Member of Hopeful Way Foundation, Recovery Africa Inc.'s (RA) partner organization in Ghana, and a member of the advisory council of RA. Since 2005, Agnes has been a key person in the establishment and implementation of recovery efforts in Ghana. She participated in numerous recovery related training programs at places such as Willingway Hospital, Healing Transitions. She was trained in recovery coach training at City of Angels in New Jersey. While in Ghana, she plays important roles in the House of St. Francis, its family meetings and with the furthering of Al-Anon groups. Living half of the time in Ghana, Agnes keeps a close watch on the programs, policies and plans of RA. She says that “Alcoholism and drug addiction in Ghana are seen as a moral issue and weaknesses and not a disease but the seeds are being sown to overcome the shame and stigma”.